How much do you know about the Megalodon? Test your prehistoric shark knowledge. Ten Megalodon questions, each getting progressively harder. Was the Megalodon a real animal? Current research suggests the maximum length of the Megalodon Shark was around? Based on the fossil record, how many years ago did the Megalodon Shark go extinct? What did the Megalodon shark primarily feed on? 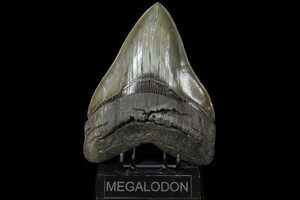 The largest fossil Megalodon tooth ever found measures about how long? Where did the Megalodon shark live? 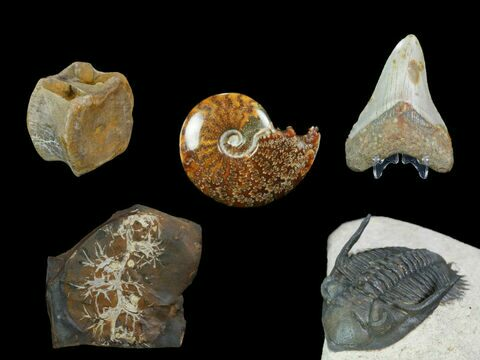 Where have fossil Megalodon shark teeth been found? 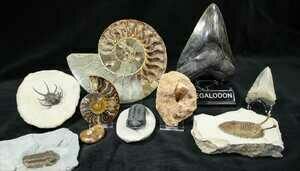 Which fossil shark tooth is a Megalodon tooth? Which shark is the Megalodon closely related to?